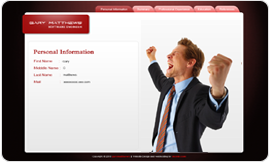 Create your Resume Website Today, Stand Out, and get Hired faster! Just $80/yr! Choose from professional looking resume websites and easily customize them to show your talent. The national unemployment rate is over 9%. Employers are looking over literally 1000’s of resumes everyday. You need a way to stand out from the crowd. That’s where a resume website comes in. Give your future employer something to remember you by. Domain Name included (choose your name or specialty)ie. Johnsmith.com. Get them to come back to you! Include your resume website in your Cover and Thank you Letters to bring yourself back in front of your potential employer. Track how many times your resume website gets viewed! Put your resume website online for just $80/year in as little as 10 minutes. Get started now and stand out from the crowd!